Despite being more of a princess than a king, this VegasMistress likes Casino RedKings. It adds a touch of skill to the online casino market with its online support, offered in a range of languages and extensive game play options. This is worth checking out for some ready-made fun! 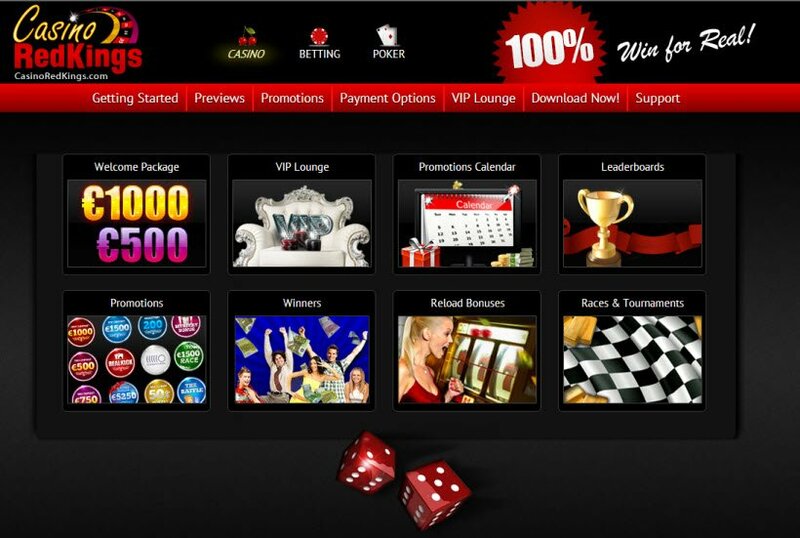 Casino RedKings is owned and operated by Skill On Net Ltd who are based in Malta and they have a gaming license issued by the Lotteries and Gaming Authority of Malta. As I began download, I was presented with no less than 20 different available languages. Very impressive Casino RedKings, very impressive indeed! Download took a fairly long time and, my expectations were raised at all the gaming goodness that was being pumped into my computer. Crisp graphics and all our favourite Skill On Net software supported games in Casino RedKings make for a pleasurable stay. So many bonuses, so little time! Casino RedKing is certainly the King of rewards. There's up to €1000 available to you on your first bonus - they will match you up to that amazing amount! Your second deposit will realise you a bonus of up to €500.There are RedKing realkicks and AutoCash opportunities too, weekly style rewards for playing. There are monthly 100% up to €100 or 50% up to €500 deposit bonuses and too many other colourful offerings that make Casino RedKing a crown above the rest when it comes to rewarding your loyalty. There are raffles to surprise two lucky players daily, mystery bonus days that you will not notice you have benefited from until two days later and even a player's guarantee that will refund you 2 or 5 deposits if you have been having a less than lucky day! The sheer number of different bonuses and promotions shows what a warm welcome Casino RedKings gives its customers and is slightly overwhelming. 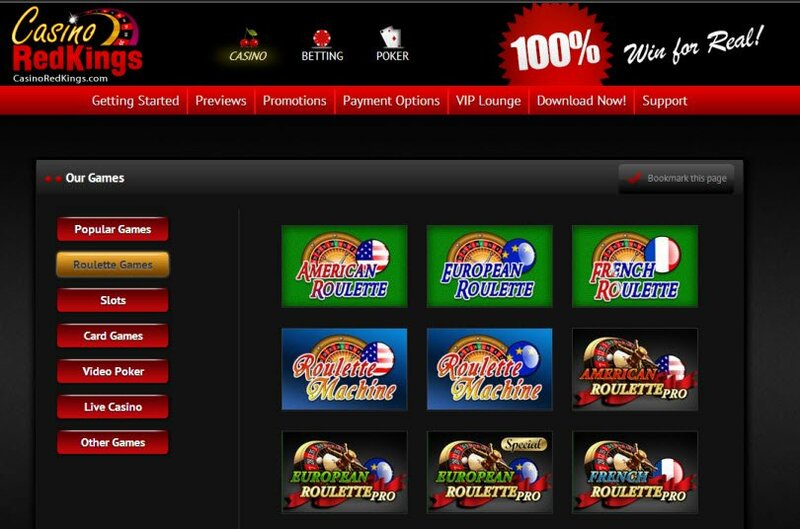 Luckily, if you read on, you will see that Casino RedKings excellent online support will quickly and easily clear up any confusion. Crisp graphics and all our favourite Skill On Net software supported games in Casino RedKings make for a pleasurable stay. The on;/off switch for the lobby music is thankfully very obvious and was utilised straight away. This VegasMistress does not appreciate tired elevator music and would let the sounds of coins piling up fill my ears. 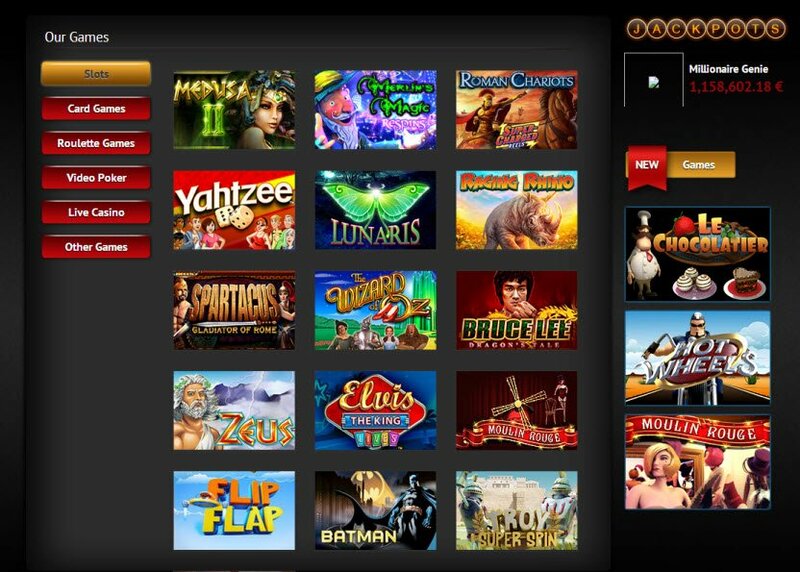 There are plenty of new 3D slot games Casino RedKings offer and, the games meu in the lobby divides all the different categories nicely, leaving you with one pick called Extra Games which contains Doubles Heaven and The Big Wheel. These two are mountains of fun and, you will see why they couldn't be contained in any of the usual game type headings. There is some wonderful 24/7 online chat support, many different languages are supported but, I stuck with English for my query, which was answered promptly by Christelle. Christelle was also simultaneously having an online chat with someone in what looked like Slovenian as; I accidentally received a few lines in error. I can now wholeheartedly and with confidence say that online support is definitely available in more than English! The online chat operators at Casino Redkings are delightful.